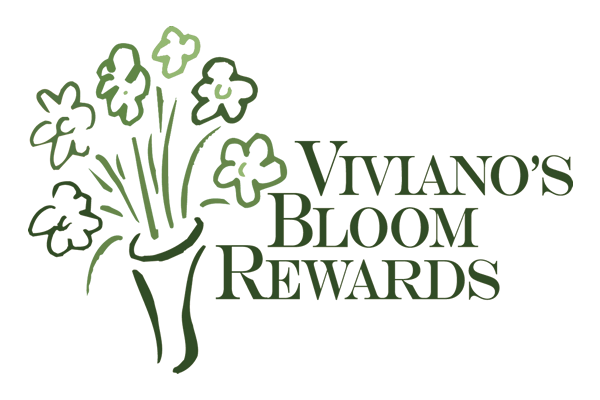 Use your Rewards card every time you shop at Viviano Flower Shop! In-store: Show your Bloom Rewards card at checkout at one of our stores in St. Clair Shores, Shelby Township, Chesterfield Township, Grosse Pointe Woods, and Rochester. Use your Rewards Certificate toward the things you want most from Viviano Flower Shop. After you've earned your Rewards Certificate, start earning points again, every time you shop. 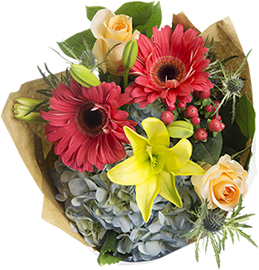 Purchase 10 loose carryout bouquets, get your 11th free! Ask for your loyalty punch card at any of our four stores. get your 11th free ($9.95 value)! 1 punch per bouquet purchased. Please present card at time of purchase. Valid in-store at Viviano Flower Shop in St. Clair Shores, Shelby Twp., Chesterfield, Grosse Pointe Woods, and Rochester.